Back in 2008 we posted a hilarious radio spot from the conservative religious group Focus on the Family responding to a law passed in Colorado that allowed trans-gendered people to use public bathrooms. Recently we received this fairly genius bit of animation that illustrates the ad, making it even funnier. It comes to us courtesy of Mutant Lab, who are clearly doing the Lord's work. Work it, girl! A clever, amusing new music video by Los Angeles rocker Taylor Locke finds the artist tooling around town in a motorized easy chair, the comfy kind one might find in a living room. The video makes it look like a cheesy tv commercial for what I thought couldn't possibly be a real product, but upon further investigation, the website appears to be real. Ok...What could one possible do with one of these things? I doubt that they're street-legal. It certainly does make music videos more interesting (along with the nekkid lady!) The catchy power-pop music is quite good, too. 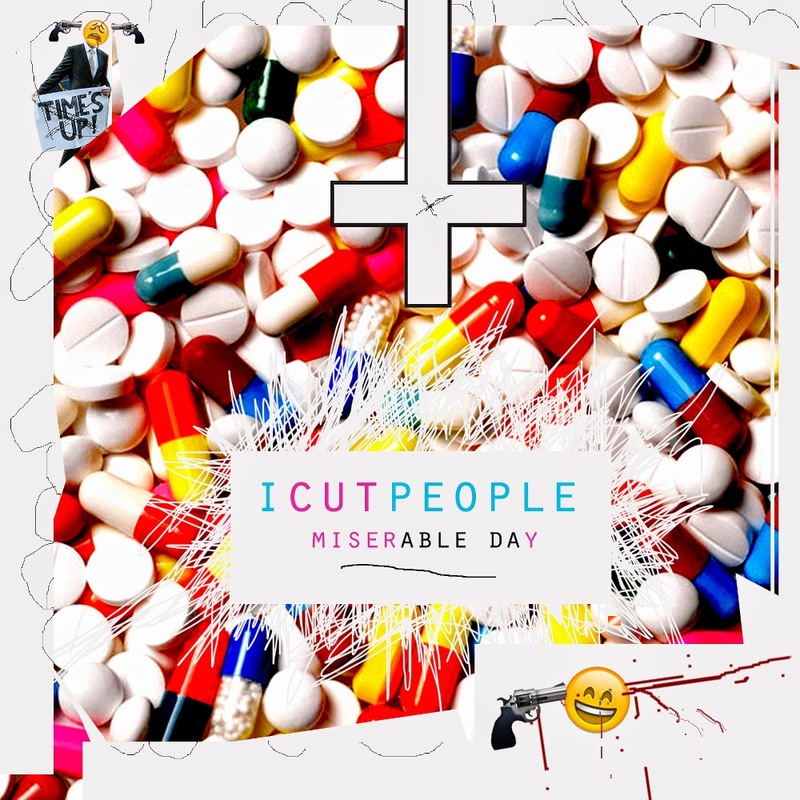 I Cut People: "Miserable Day"
You know who is excellent at this - Norelpref. hours of mutilated cultural media cut-ups. Thanks for turning me on to Mutantlab! Obviously a great American institution!